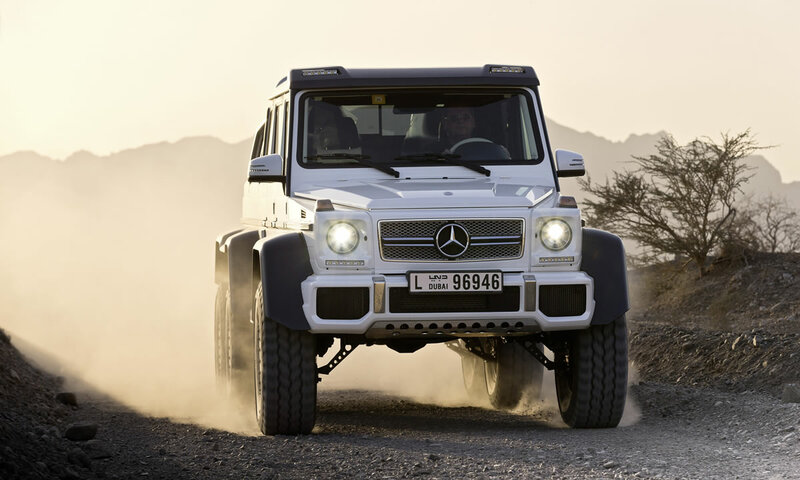 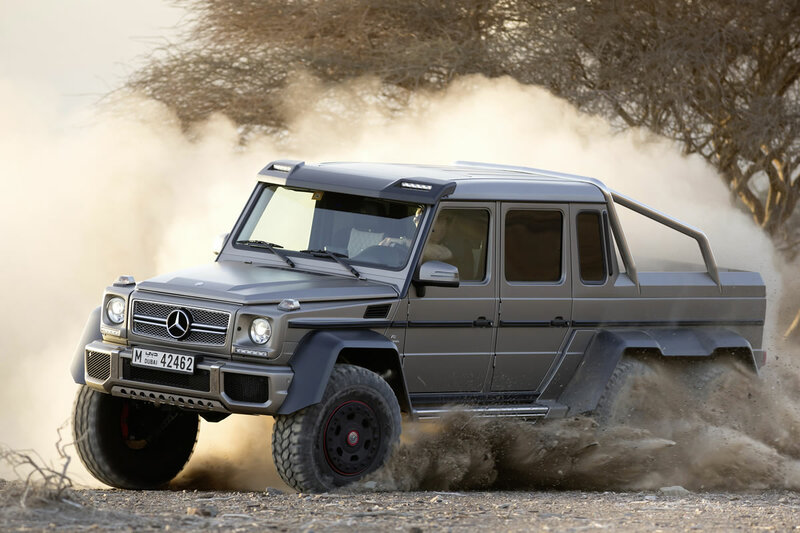 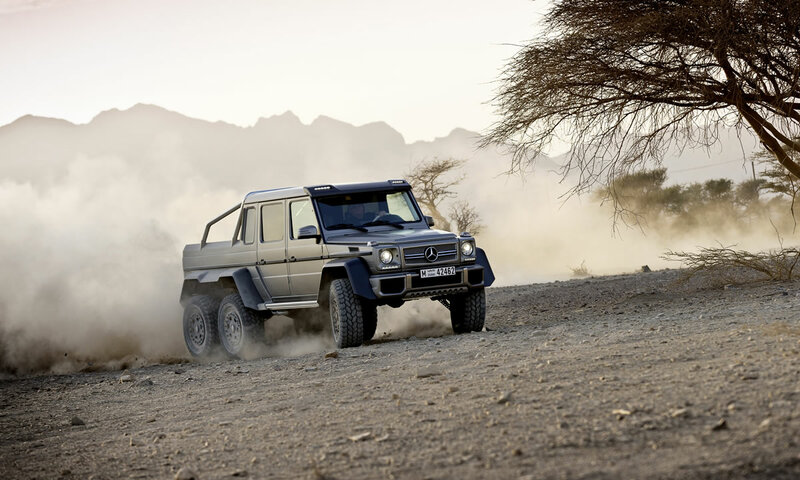 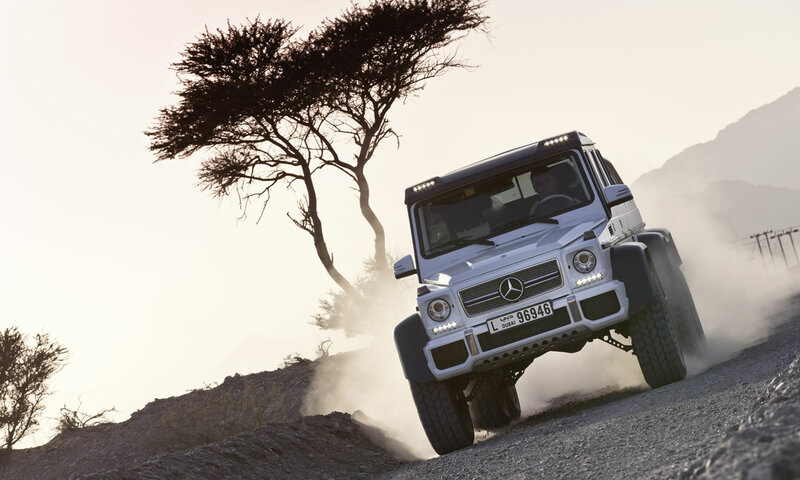 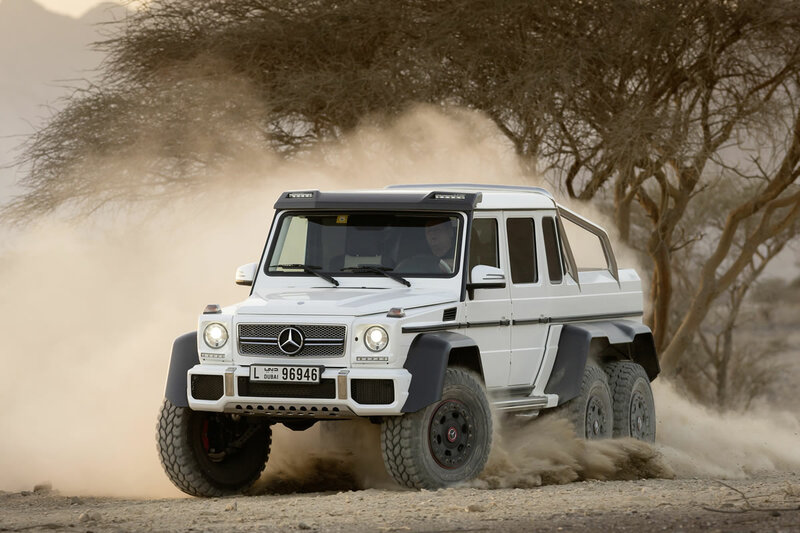 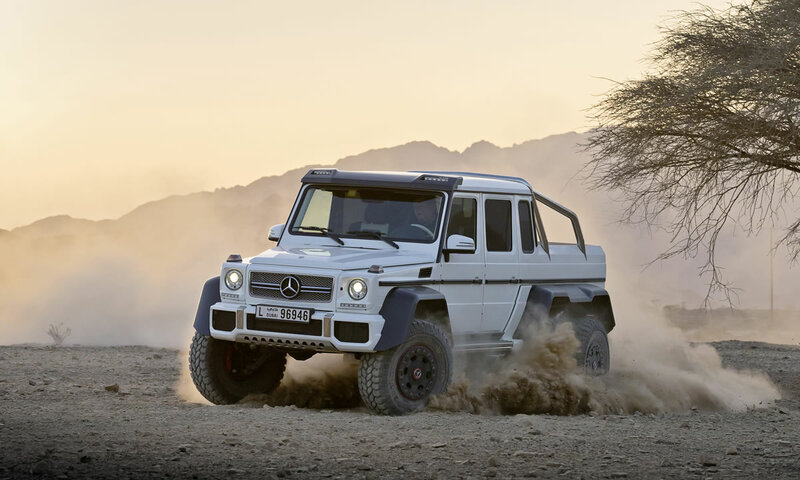 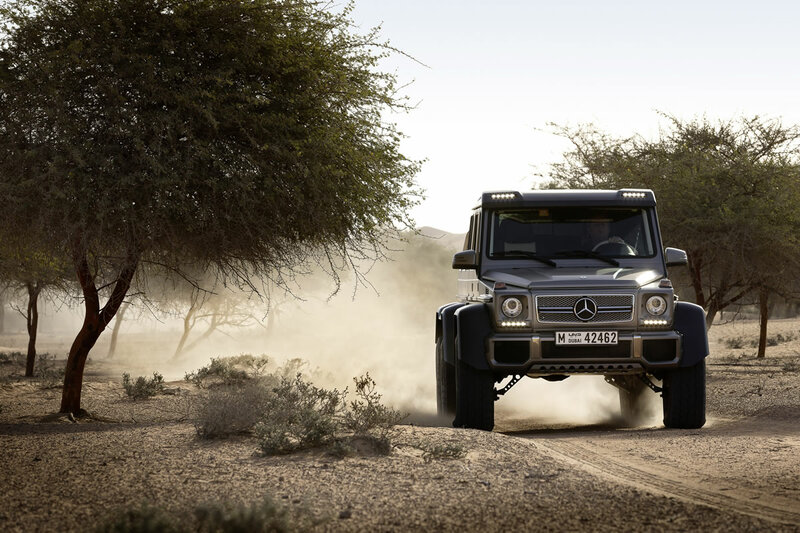 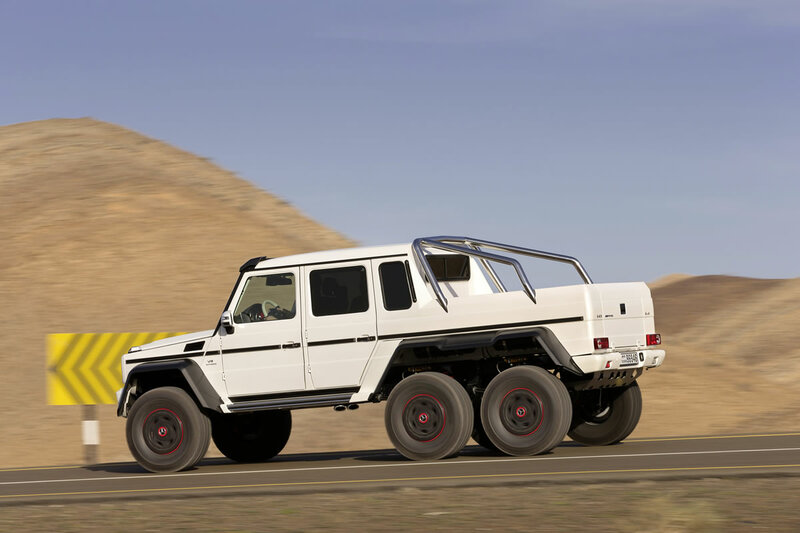 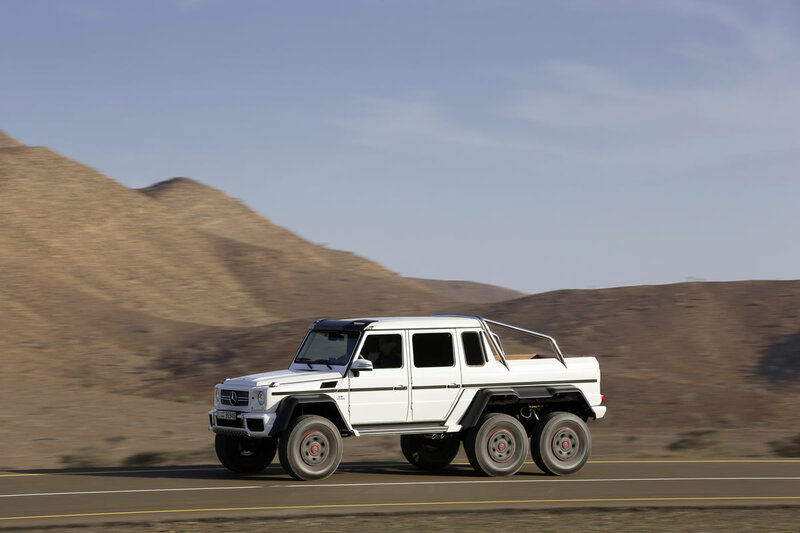 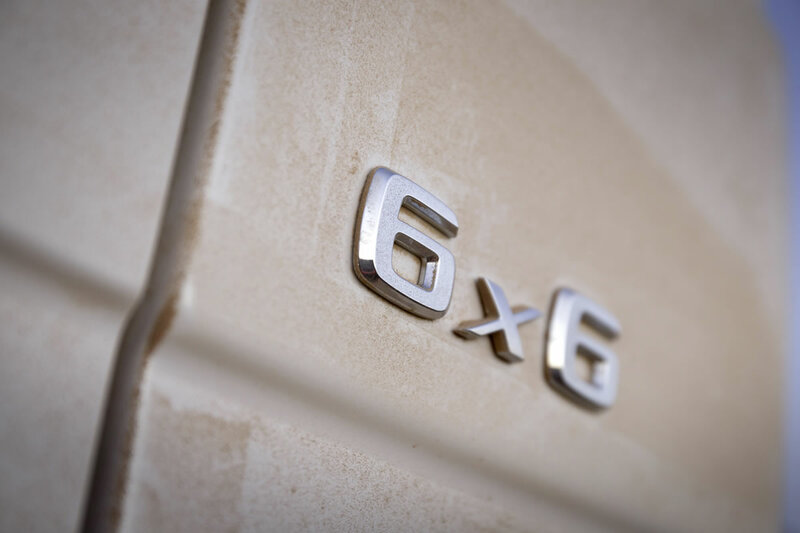 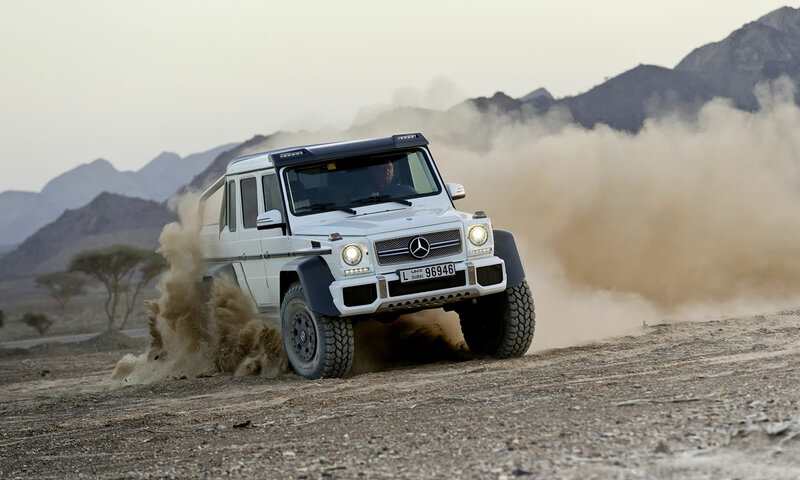 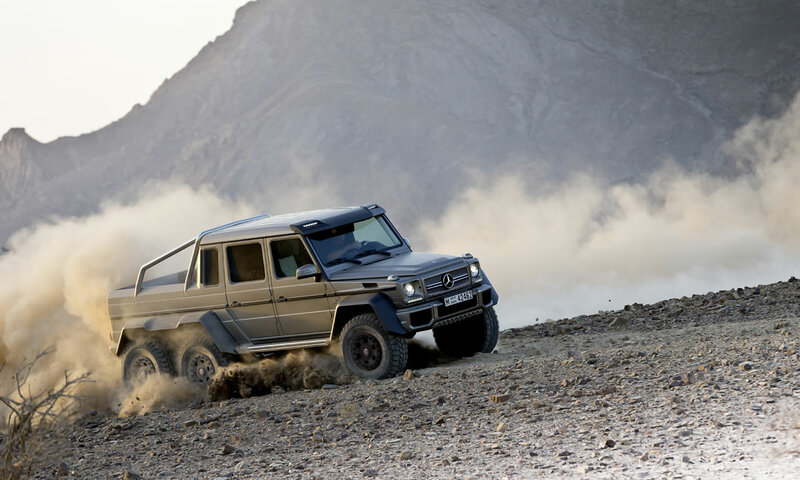 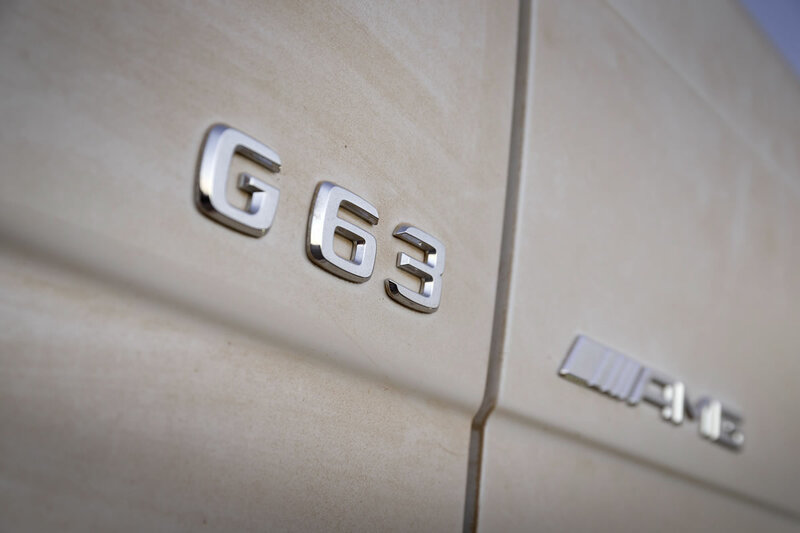 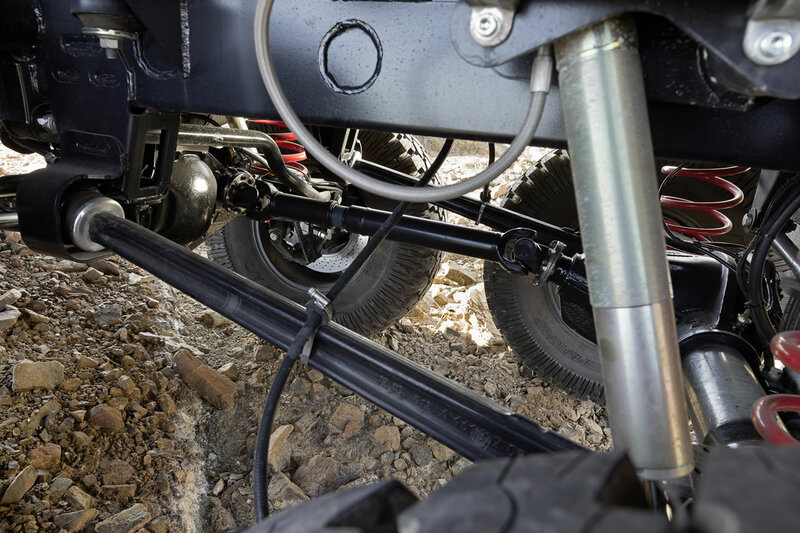 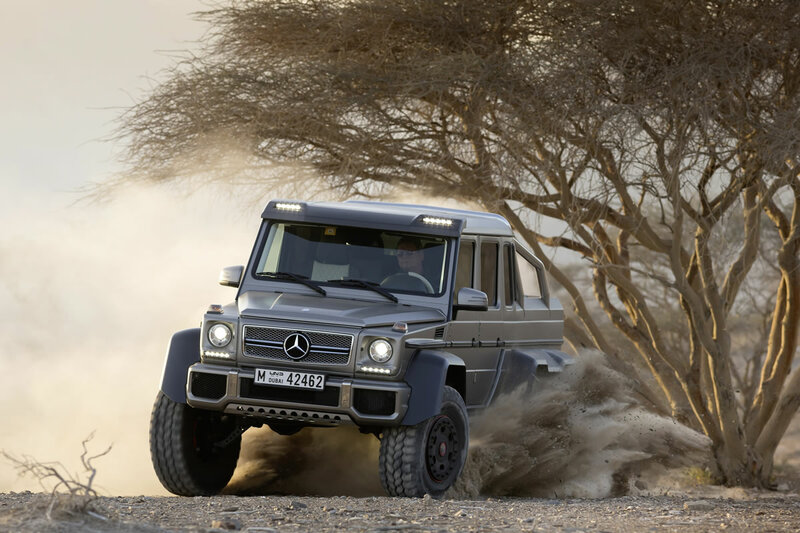 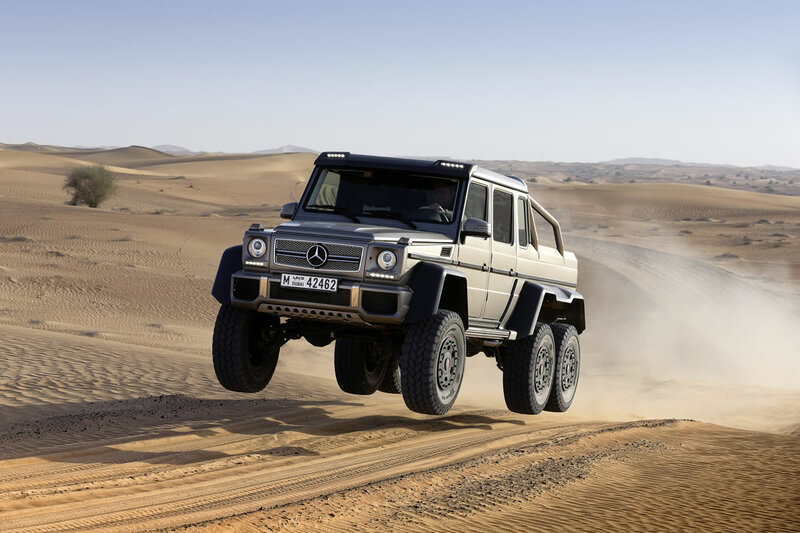 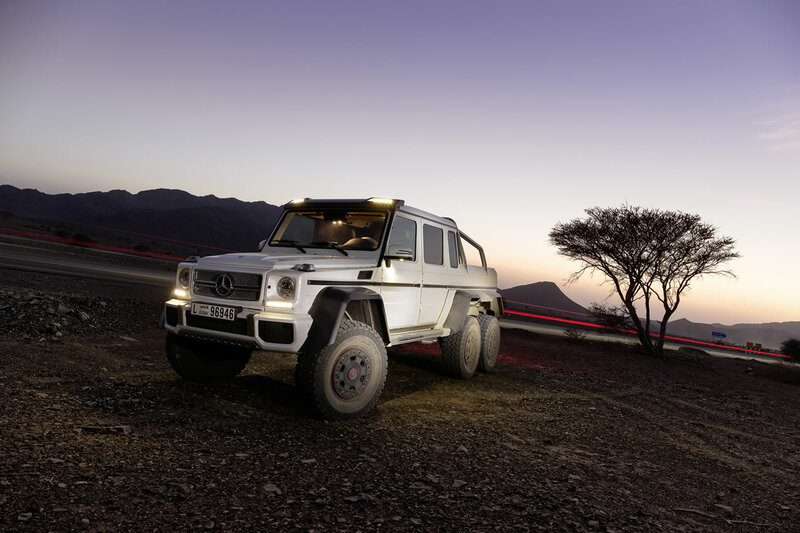 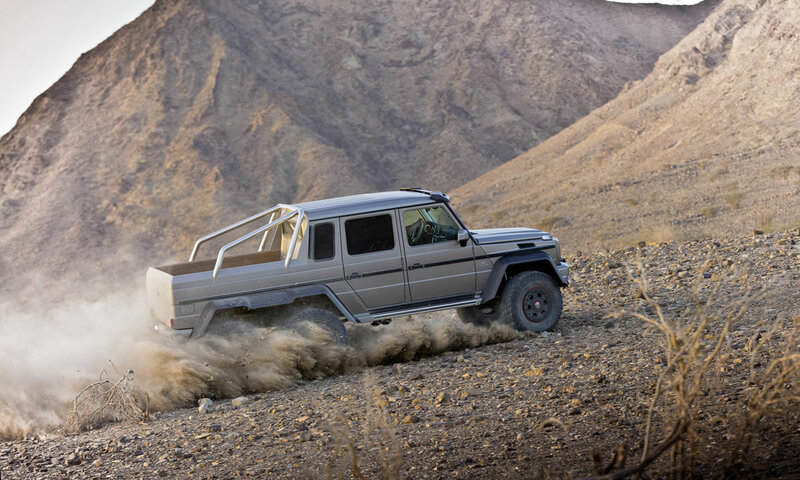 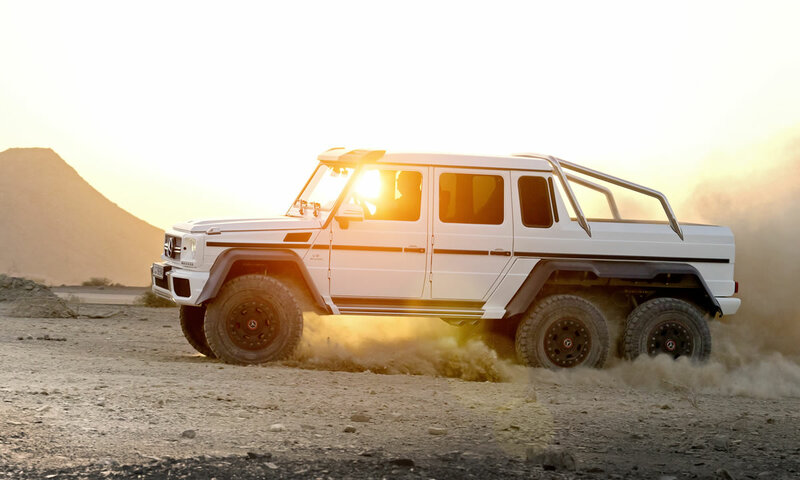 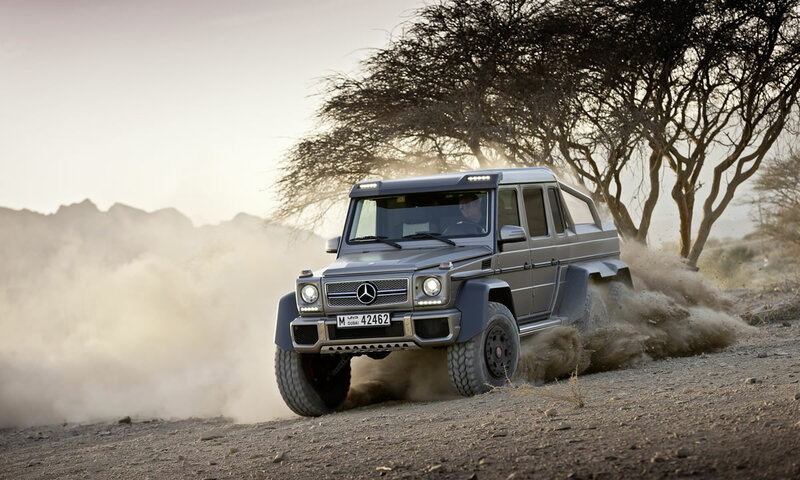 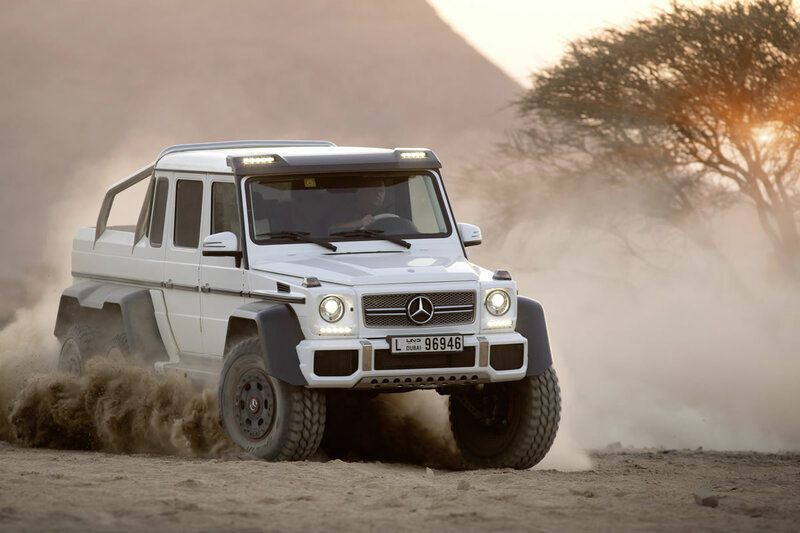 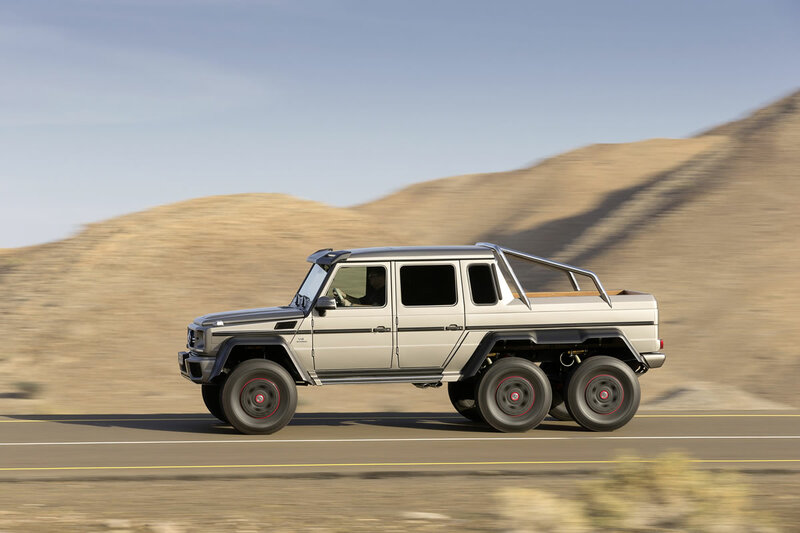 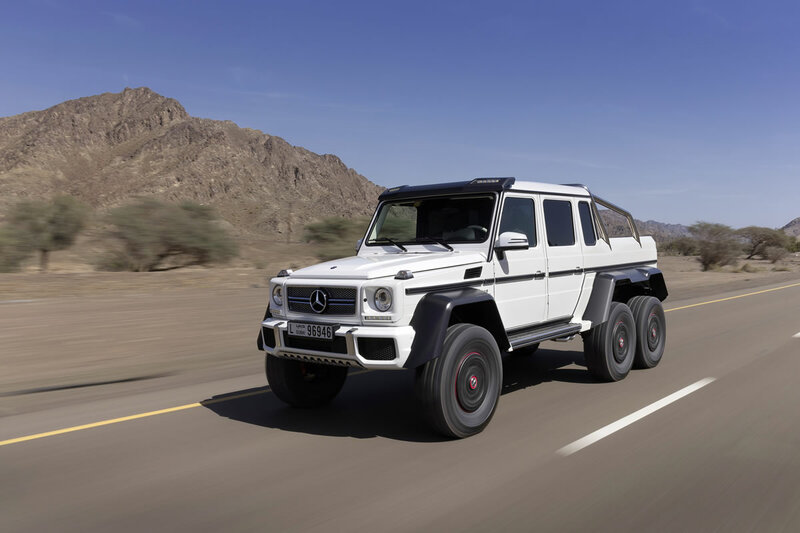 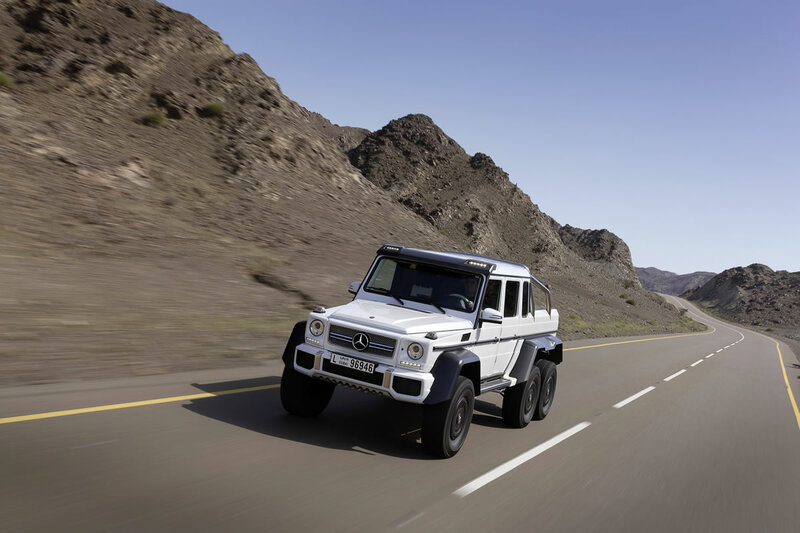 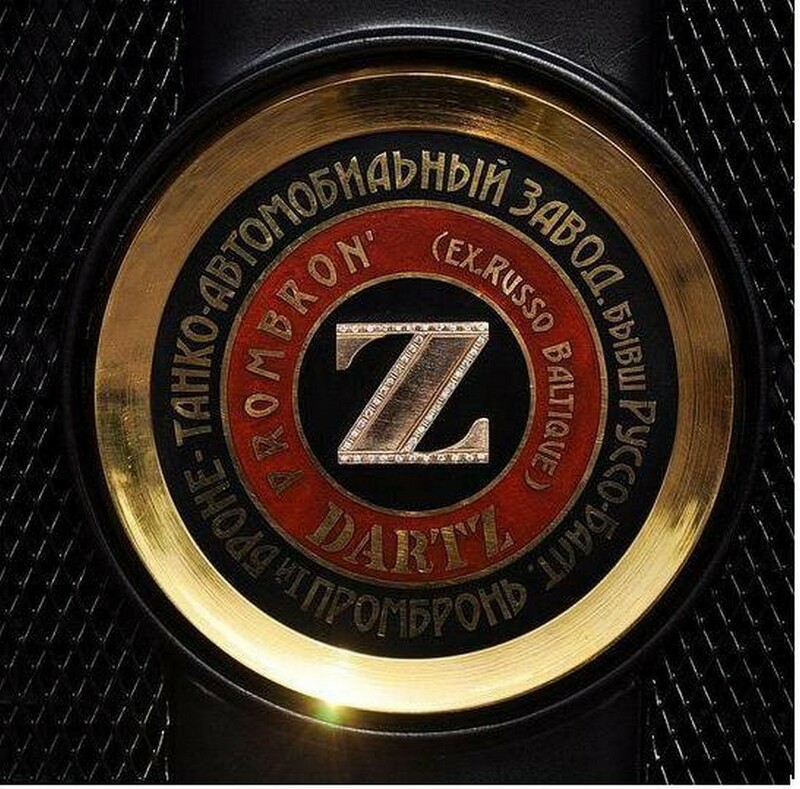 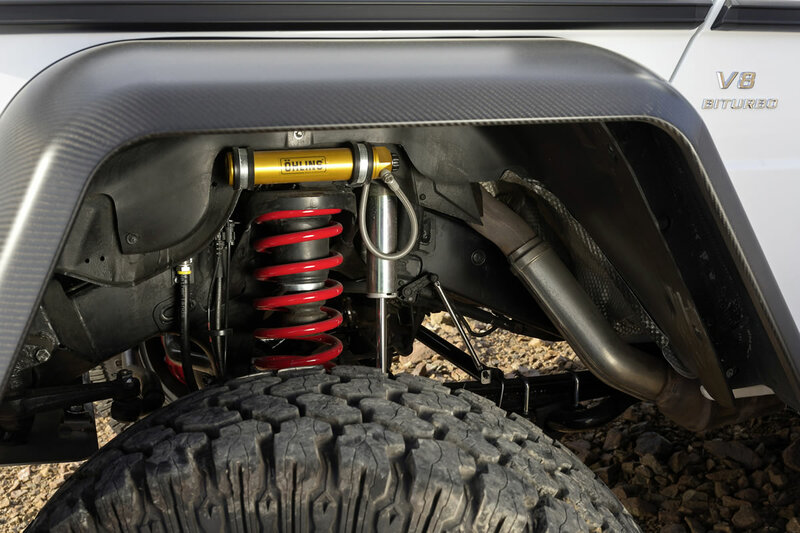 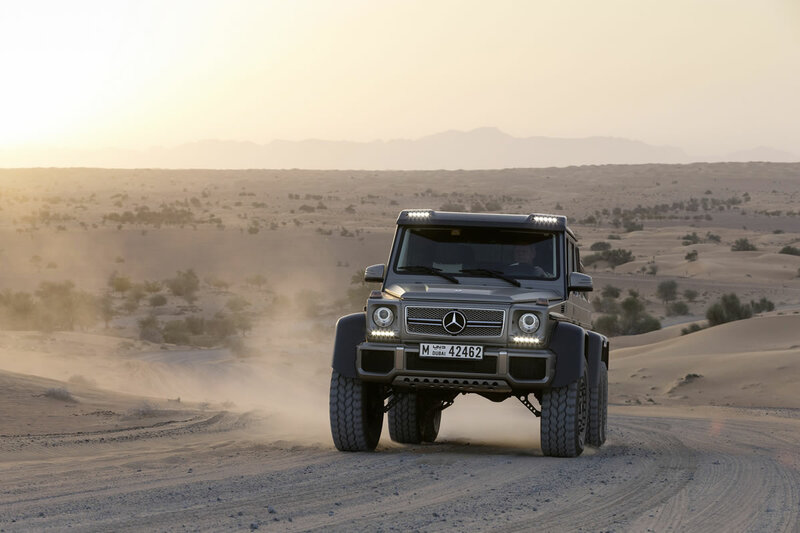 It was just over a week ago when we brought you the new Mercedes G63 AMG 6×6 and already tuning company Dartz Motorz has received an order to upgrade one of the six-wheelers. 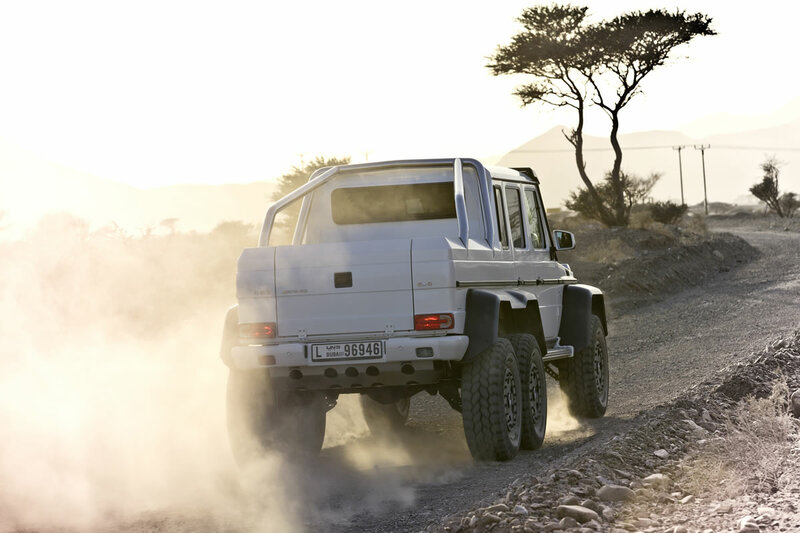 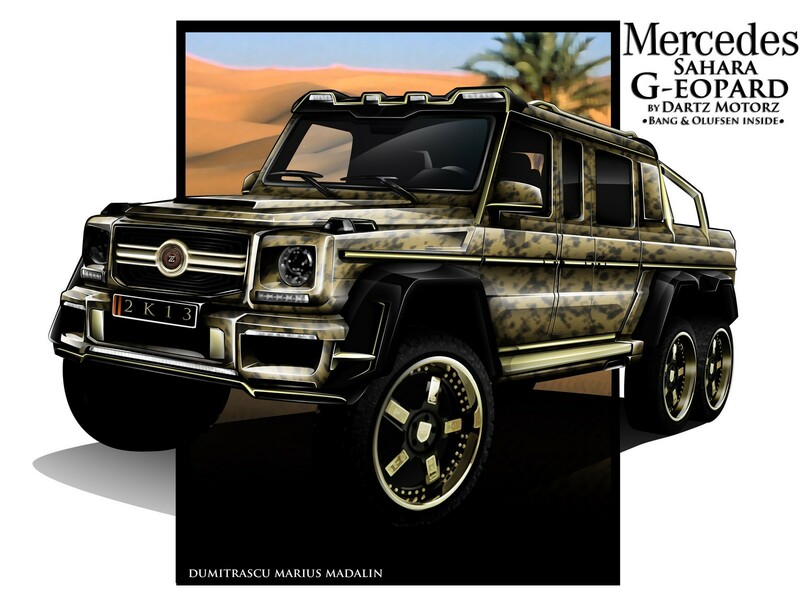 Dubbed the Mercedes-Benz G63 AMG Sahara G-eopard, the Dartz Mercedes 6×6 will come with a full list of updates that have been stiled by Dartz designer Marius Dumitrascu. 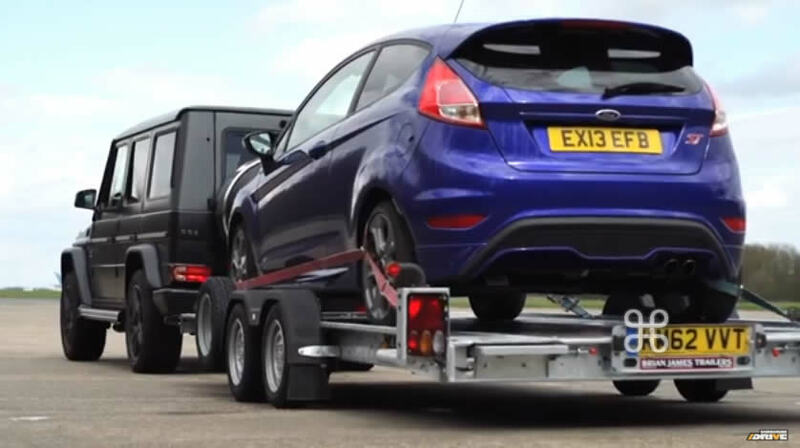 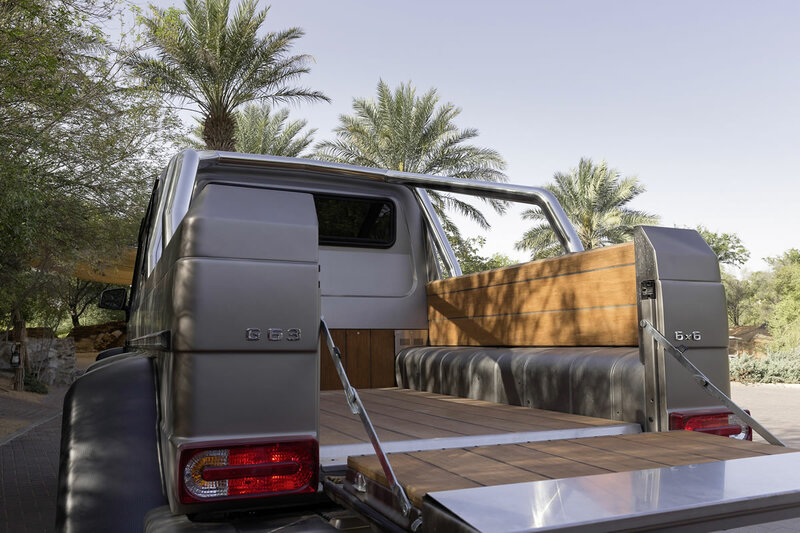 Included on the upgrade list are two coach doors for passenger, a yacht floor and a stand-alone air-conditioner that will work when the car is not running. 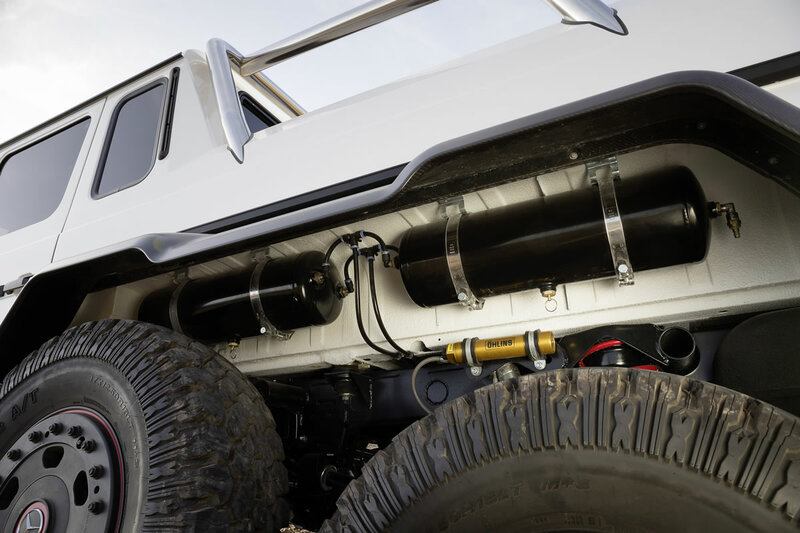 In case you’re thirst, refreshments will be provided through the liquid dispenser with cooler with silver tubes and Russian diamonds. 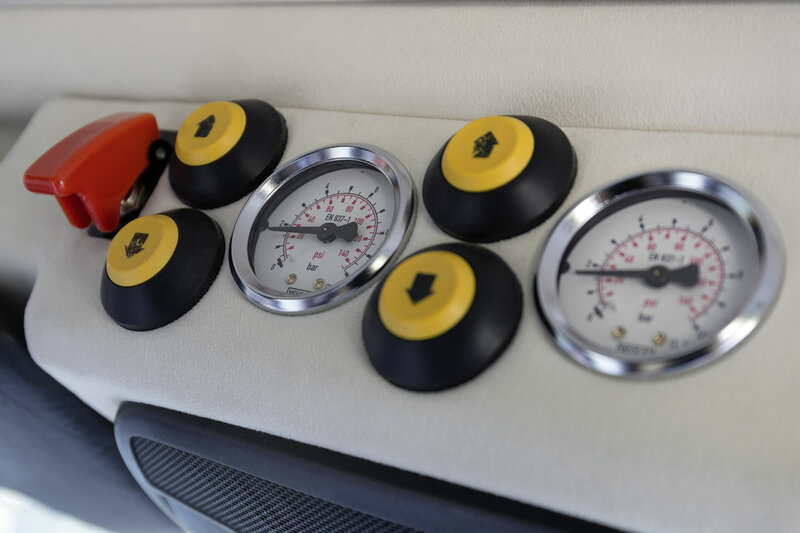 The passengers will also enjoy integrated gold shisha in the portable smoking room, or if they’re hungry for something else can head to their portable dining room. 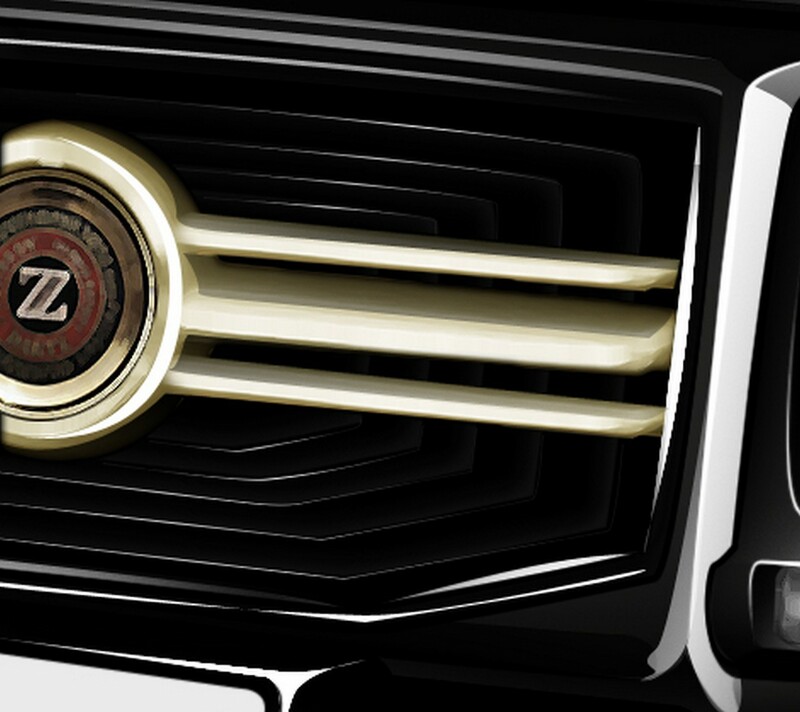 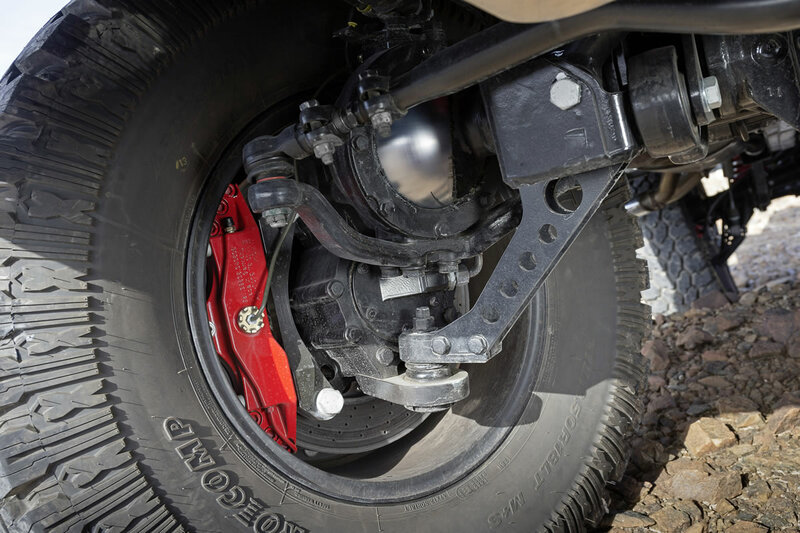 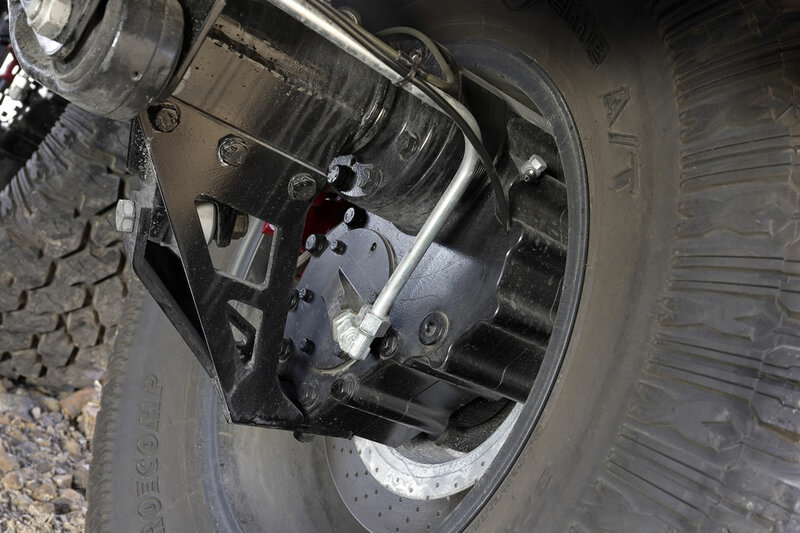 The six stock wheels are being replaced with 24-inch Asanti Gold Bullion wheels that feature gold metal parts. 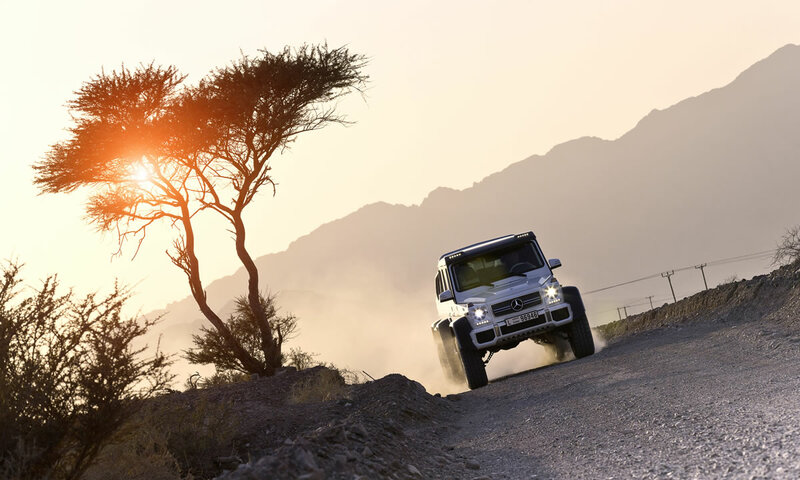 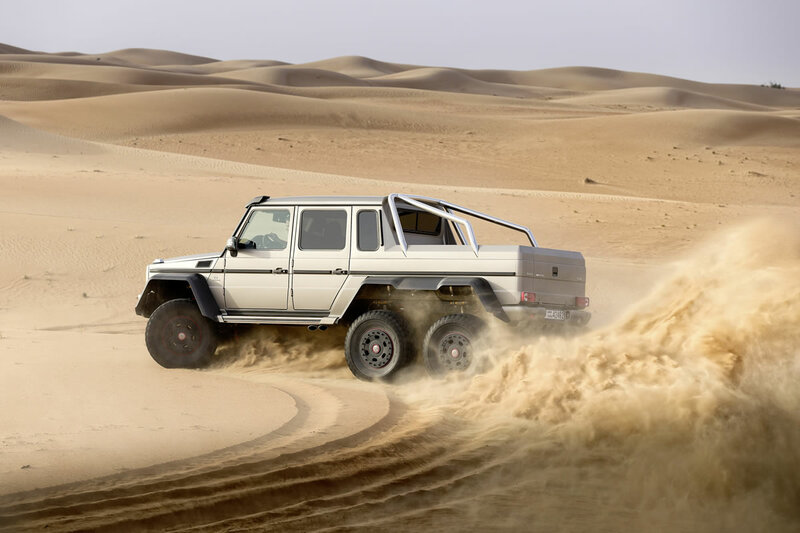 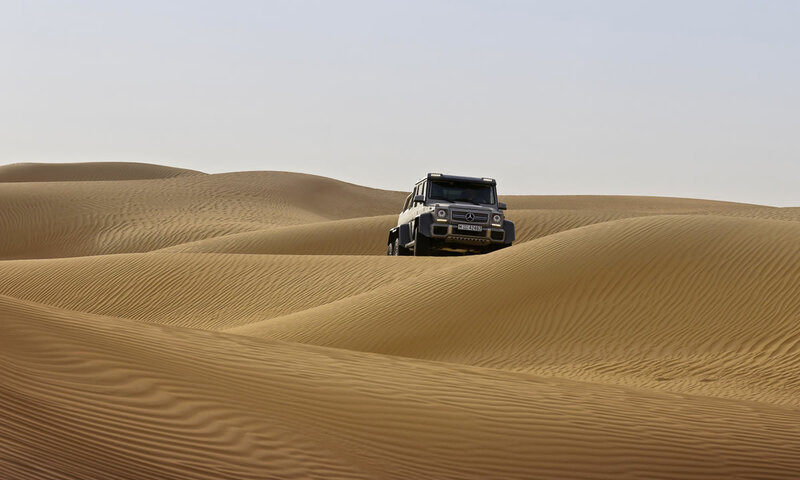 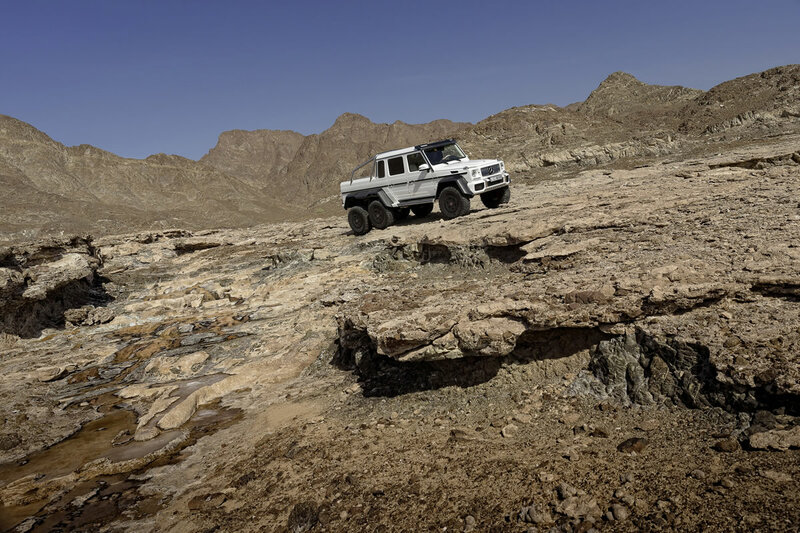 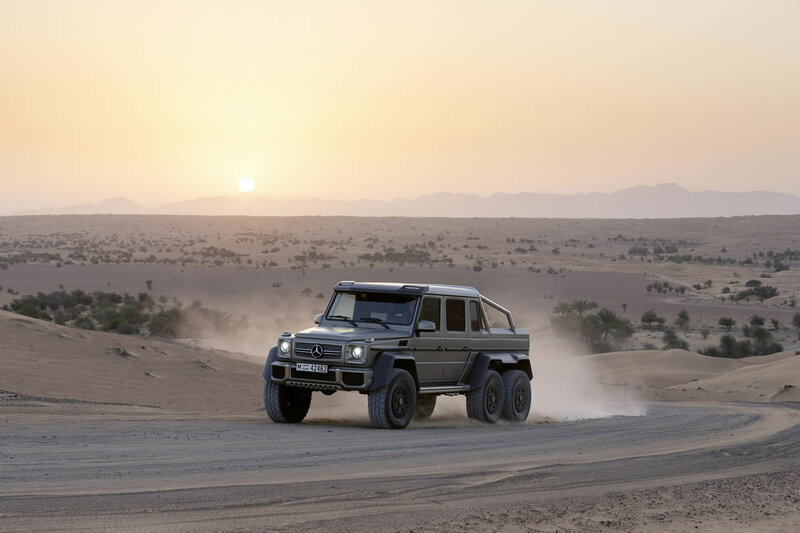 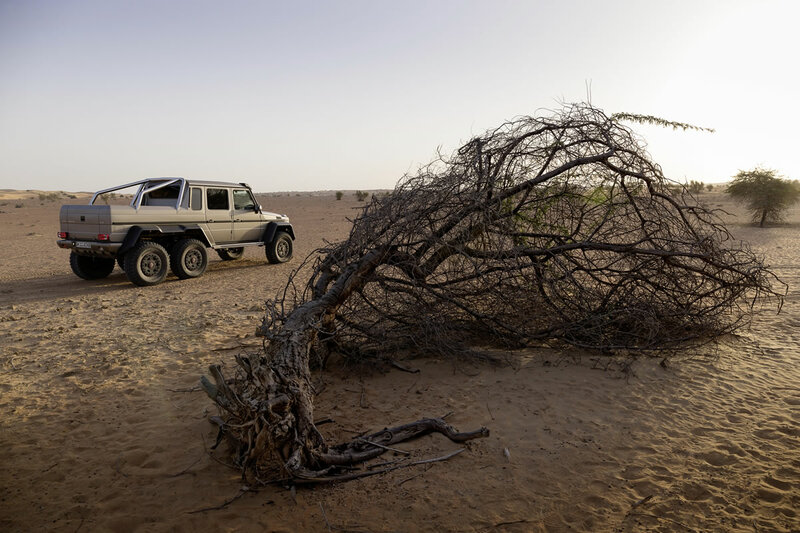 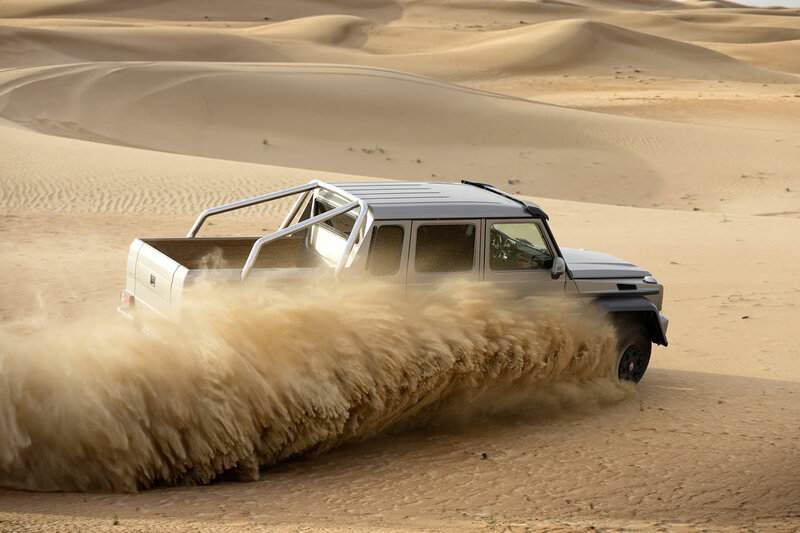 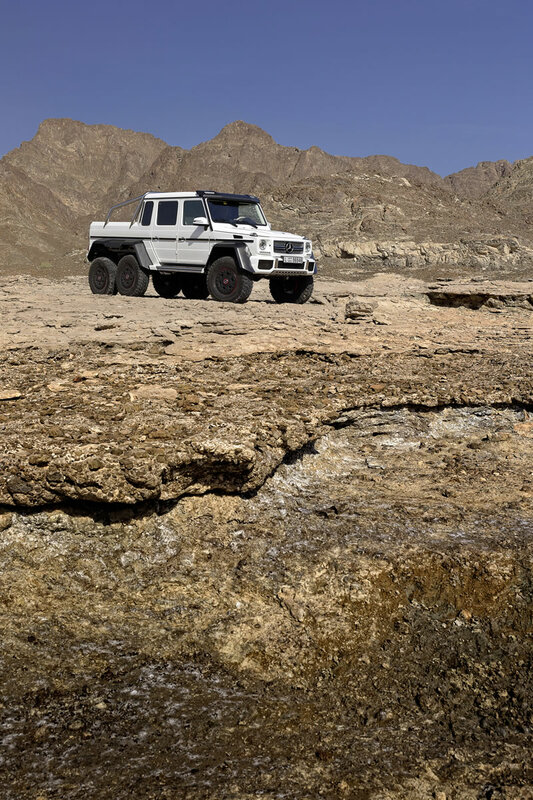 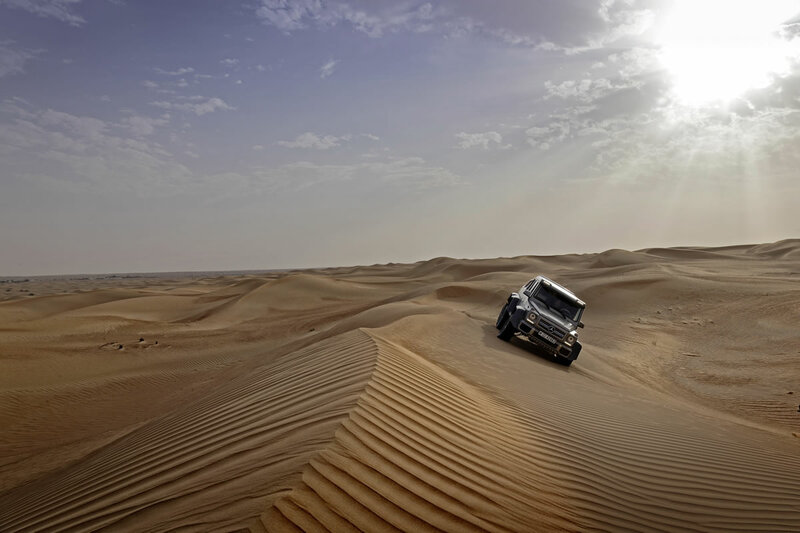 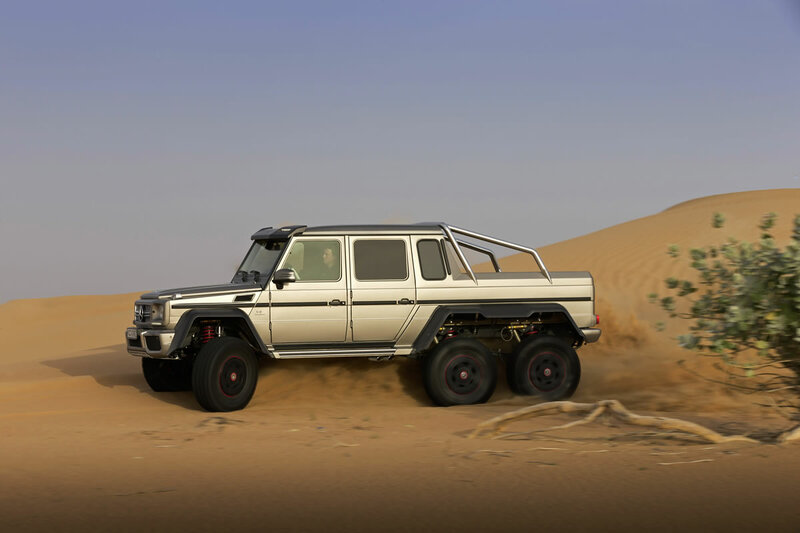 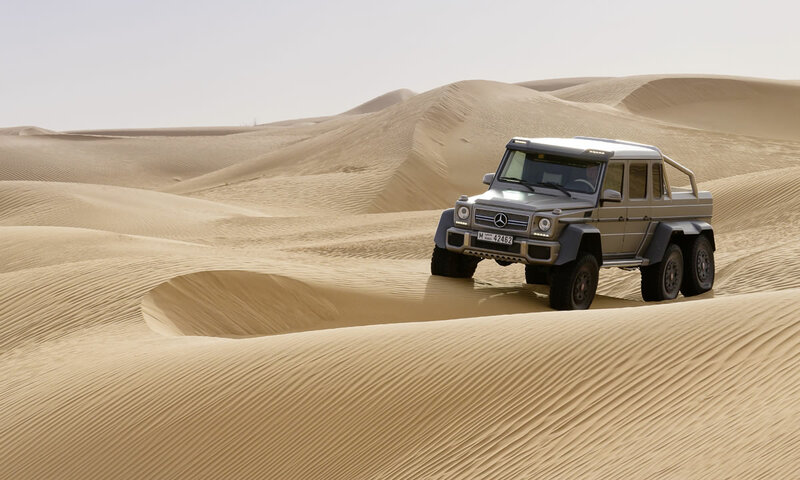 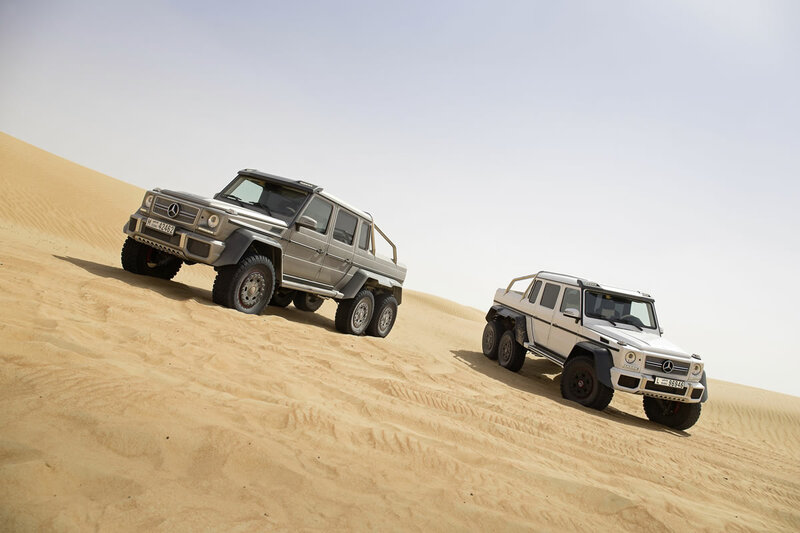 The Mercedes-Benz G63 AMG Sahara G-eopard will feature a special body makeover with nano-coating, gold sputtering and will be hand painted with geopard spots by famous Dartz artist A. C’machoff. 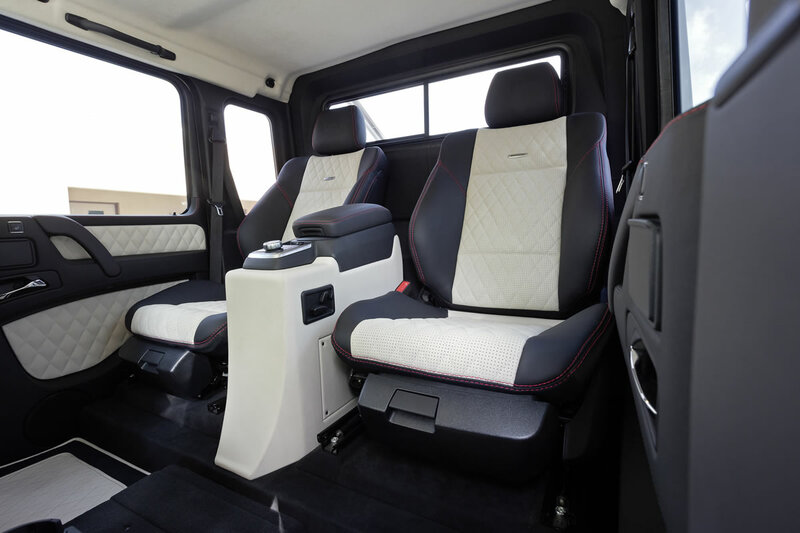 Once you’ve had enough to drink, eat and smoke, you can relax and be entertained by turning on the In-Car cinema from Bang & Olufsen that has been specially integrated into the car by students of Aarhus (Denmark) Business Academy. 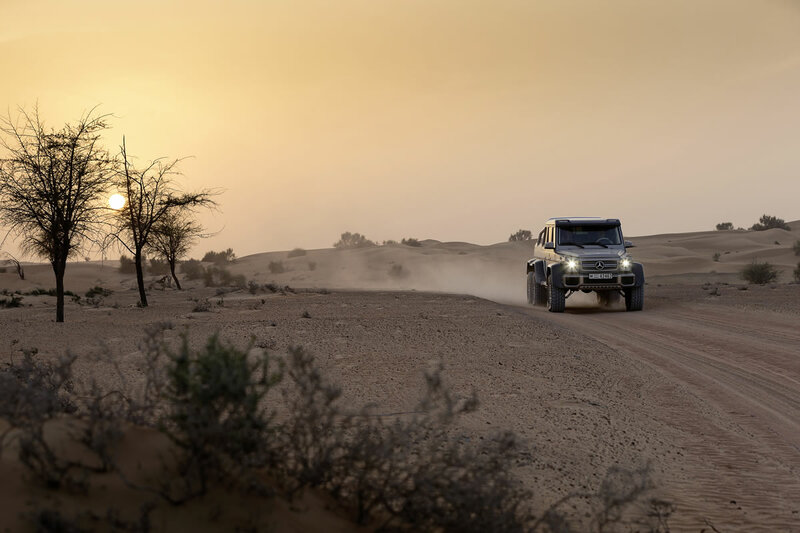 You shall enjoy your iOS or Android devices or Beo 6&4 remote controls and with the Beo 6, you can control the lightning or the sky roof. 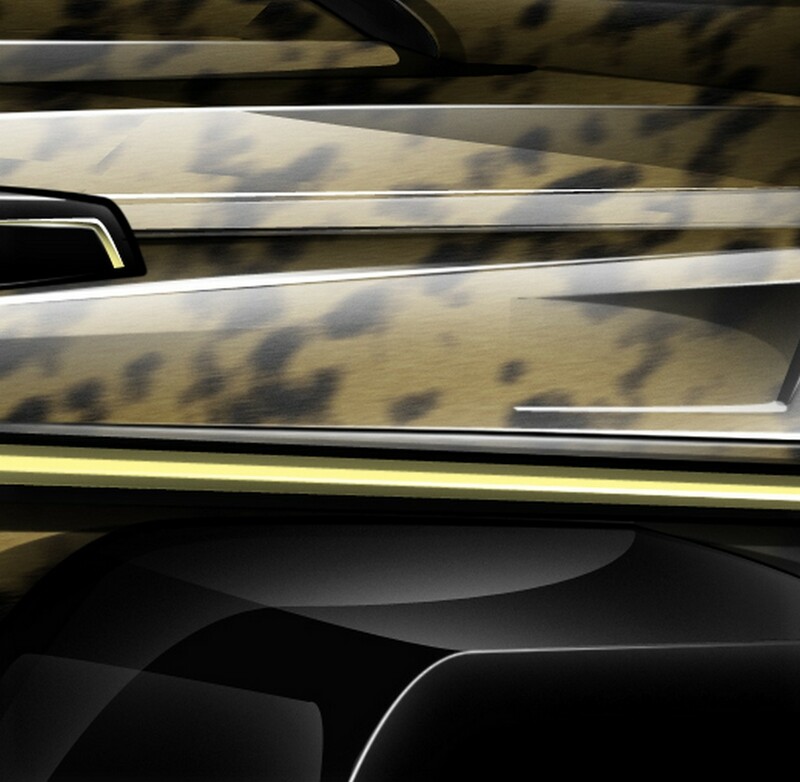 There will also be a BeoVision 11 Smart 3D TV with superior sound accompanying it. 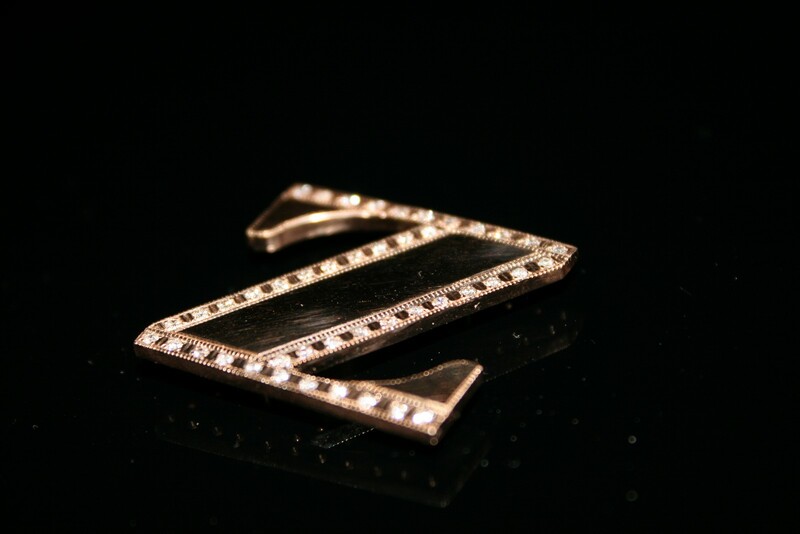 Needless to say, we can’t wait to see the finished product, you can rest assured when we see it, you will too.